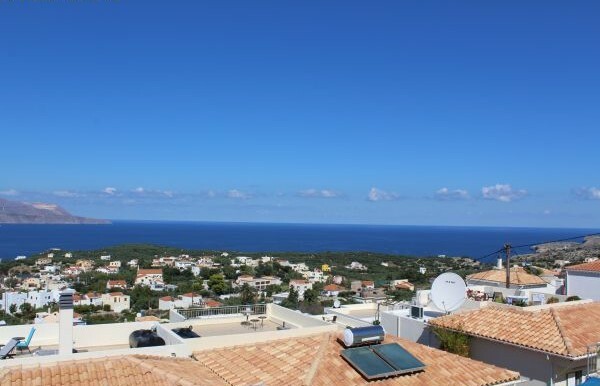 For sale in Plaka: This unique 121m2 villa is located on a 270m2 plot within the village limits of the ever so popular village of Plaka. 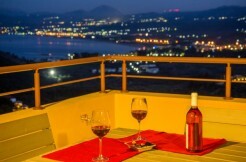 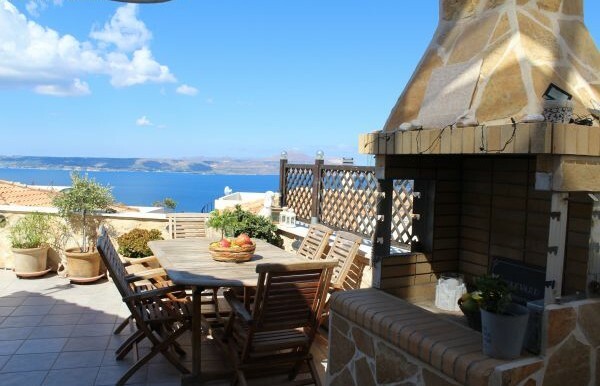 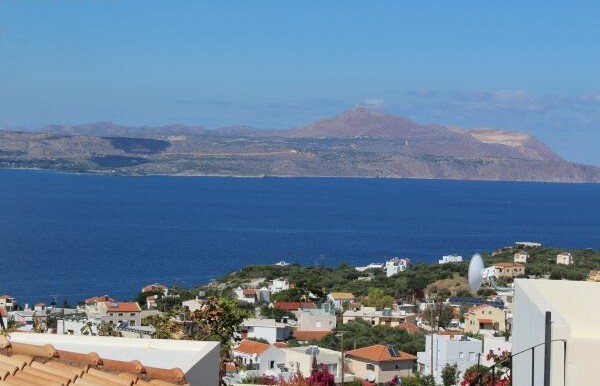 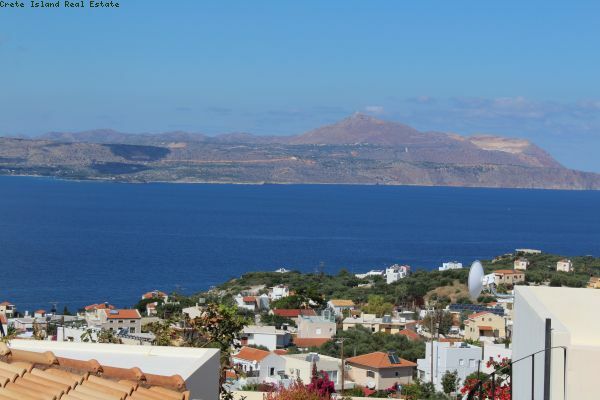 Being on higher elevation than most other properties, it offers stunning views to the sea of Souda bay. 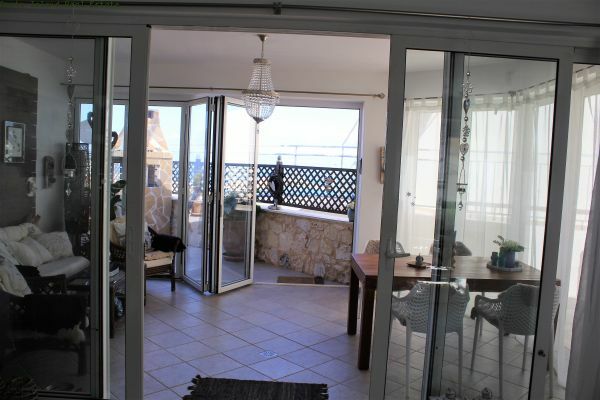 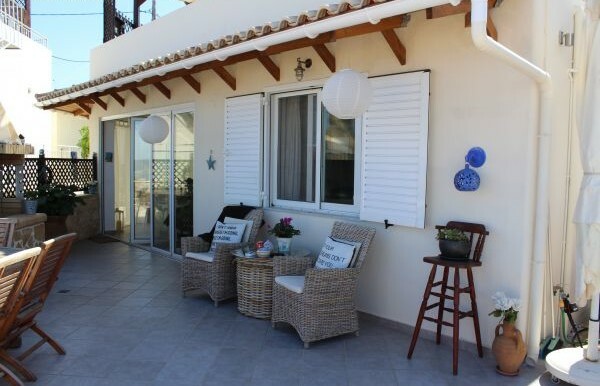 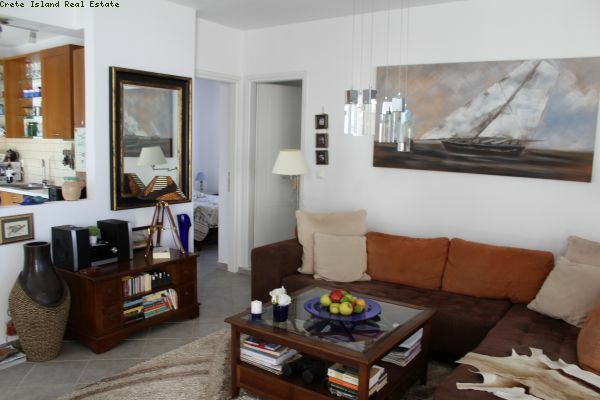 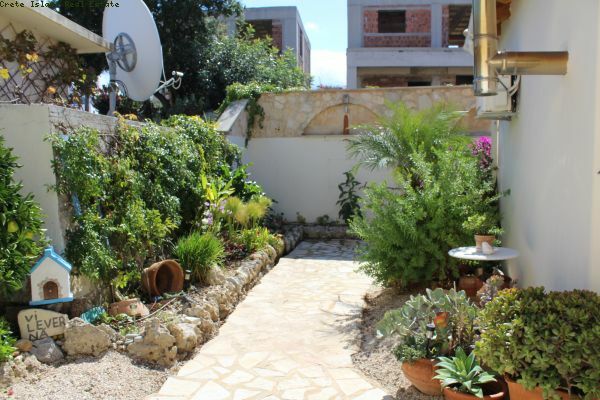 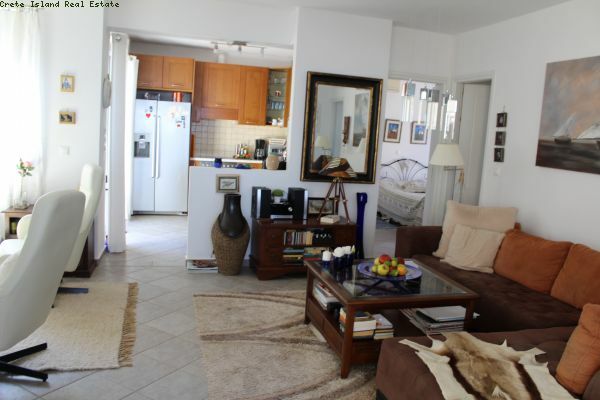 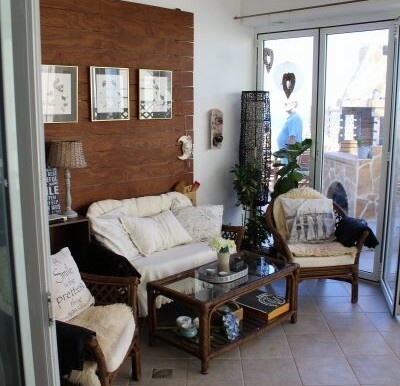 This 2 bedroom, 2 bathroom villa could prove to be ideal either as a holiday home or for permanent living. 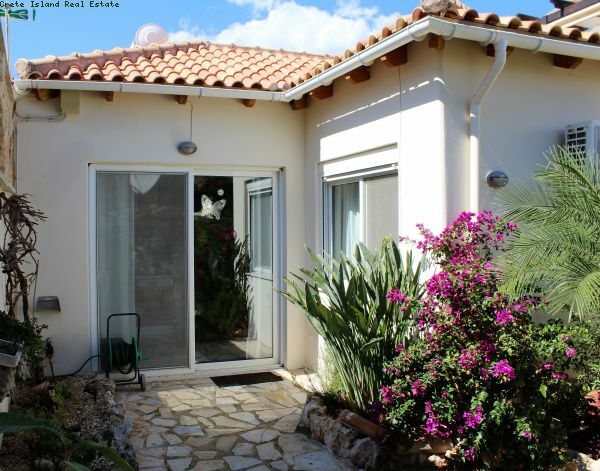 Entrance: The property is situated on a tarmacked dead-end lane and is part of a nicely done housing development. 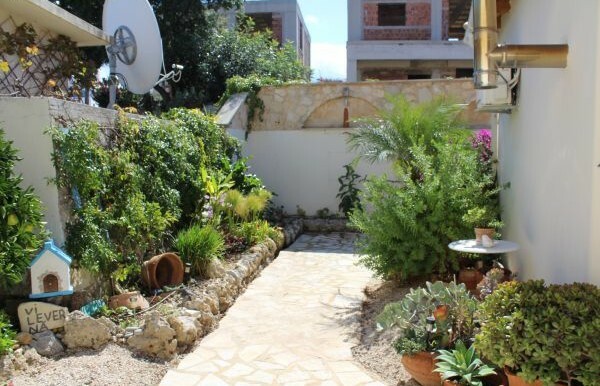 Coming through the lane you first see a 45m2 garage while at the side of it there are some steps leading up to a lovely terrace where the entrance door is, surrounded by beautiful plants and flowers. 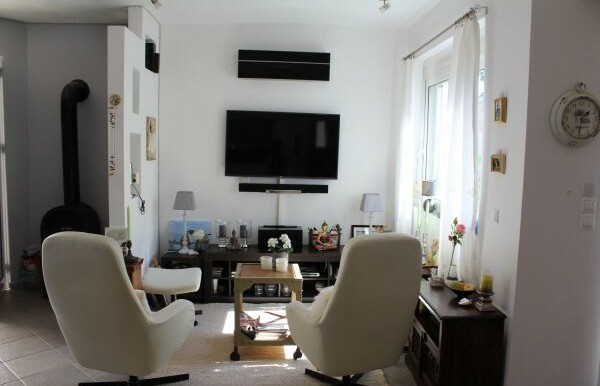 Interior: Entering the house you find yourself in an open plan living area comprising a comfortable lounge and a «television seating area» perfectly designed to enjoy movies and tv programmes. 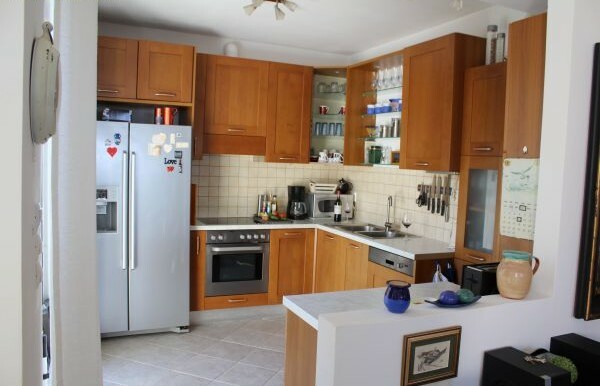 Further back is a spacious kitchen fully fitted with modern white units. 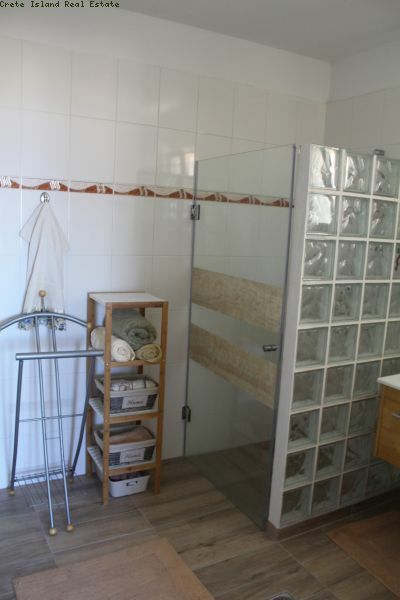 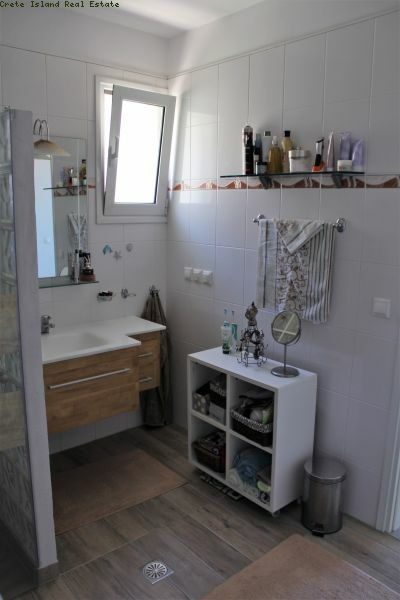 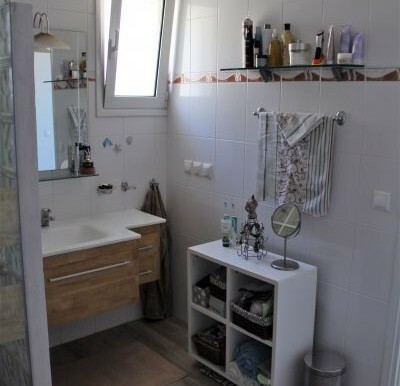 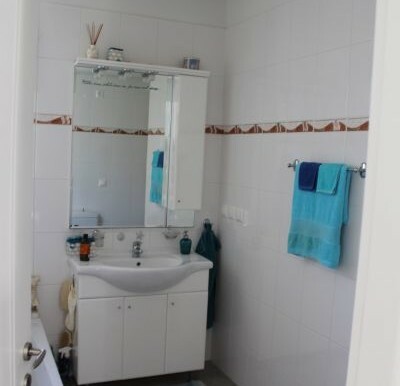 Next to the kitchen is a good-sized bathroom that can be used by the guests, equipped with white ceramics and a bathtub. 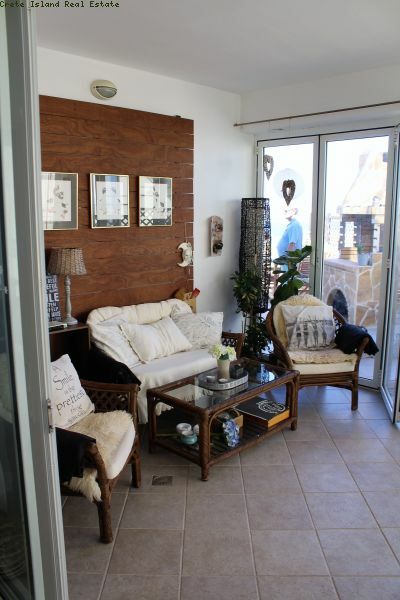 A separate, beautiful room can be found beside the lounge, serving as a dining and sitting area. 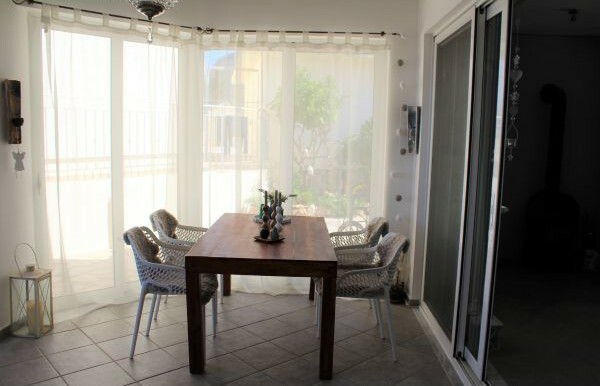 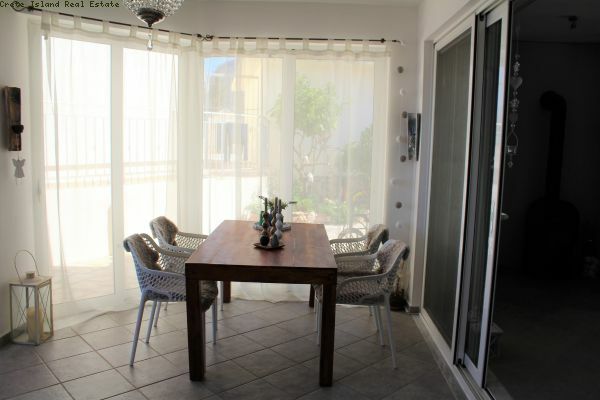 This ambient dining room has a big windowed front which can open-up completely, offering access to the outside terrace. 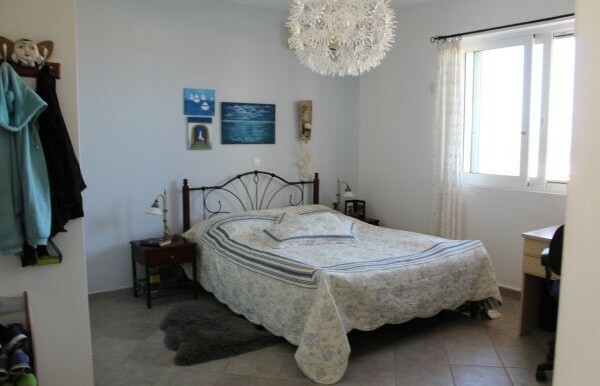 Bedrooms: Both bedrooms can be accessed through the open plan living area. 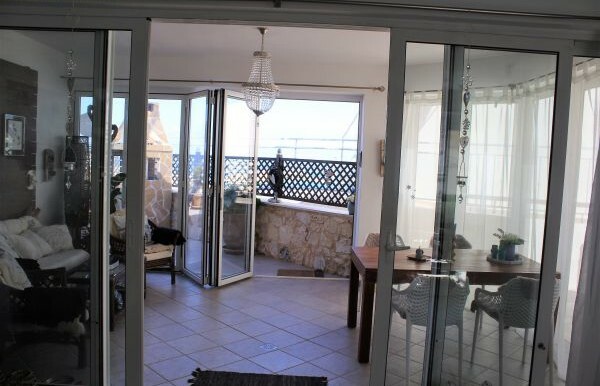 The very spacious master bedroom is next to the lounge and has large windows that offer some truly amazing sea views. 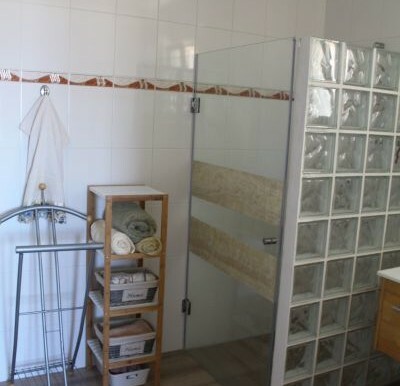 It also has a walk-in wardrobe and a surprisingly large en-suite bathroom with a nicely designed walk-in shower enclosure. 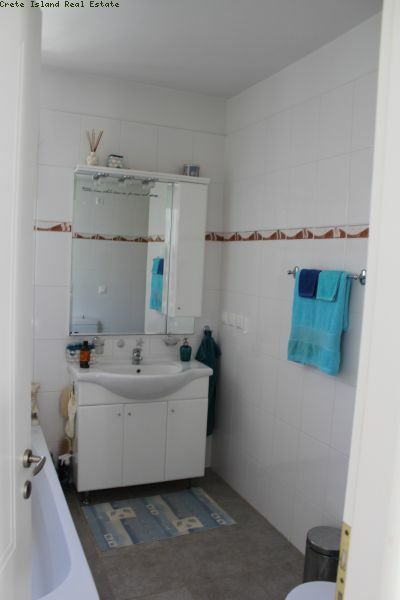 The second bedroom can be found near the kitchen and the guest bathroom. 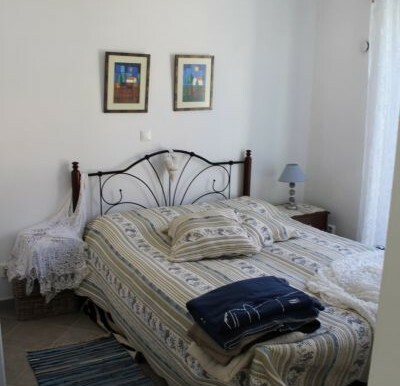 It has a double bed and large fitted wardrobes. 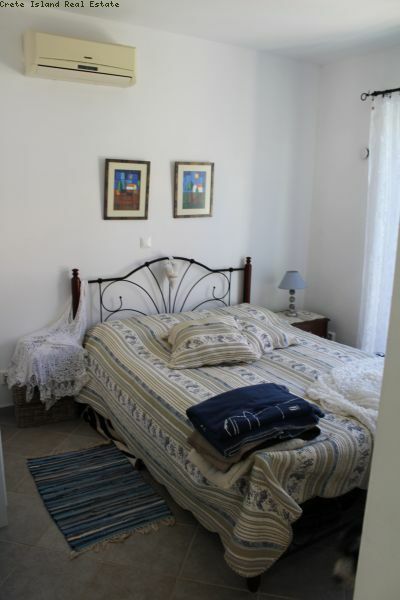 This bedroom also offers access to a small terrace outside. 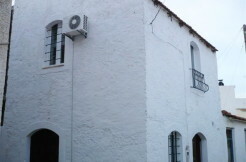 External: The whole terrace outside is paved with local stone, adding extra character to this beautiful property. 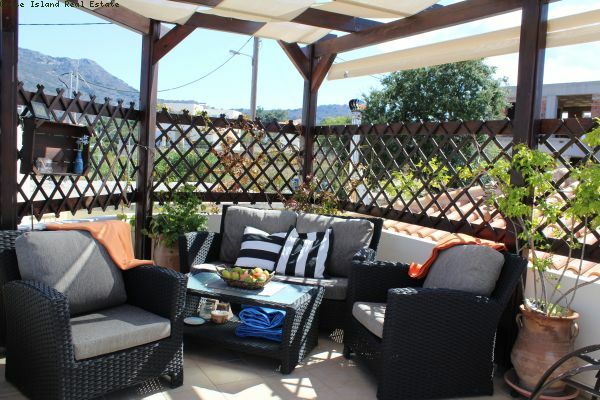 The terrace hosts a barbecue and several sitting areas. 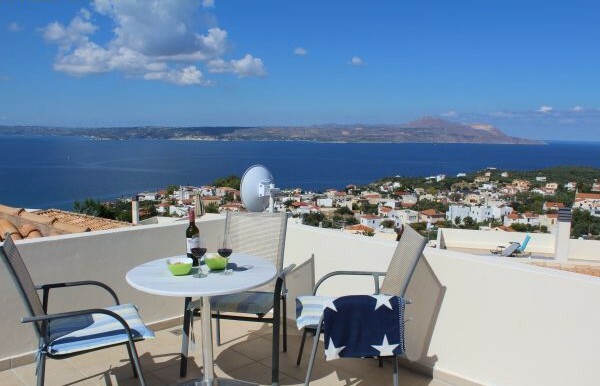 It also grants access to an additional charming terrace on the roof where the views become even more stunning as someone can witness not only the amazing sea front but the magnificence of the White Mountains, too. The pergola and sofa add to the extra comfort of the roof terrace making this place ideal for someone to enjoy the magical sunsets of Souda bay. 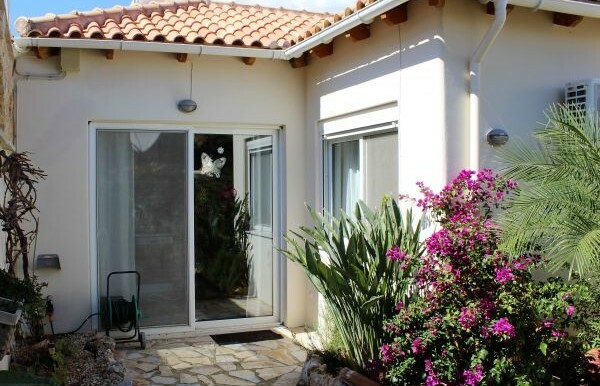 Summary: This unique property can prove perfect for holidaymakers, as a rental or for permanent living. 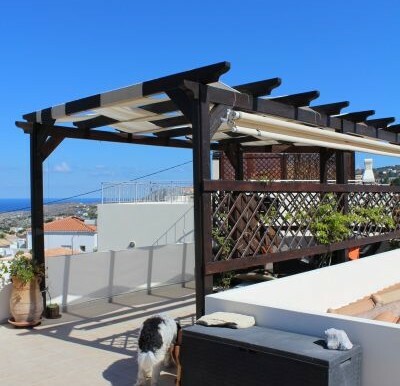 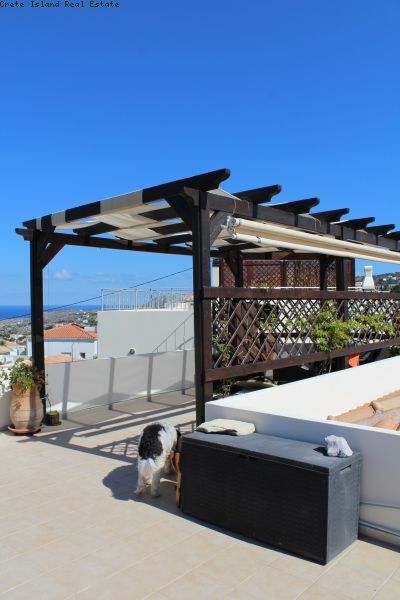 It has spectacular views and given the location it is situated in, it grants easy access to Plaka square which is only a short walking distance away. A swimming pool is also in development, which increases the overall value of this lovely villa.